Paige Dolecki - Stampologist: How you doin' card with Spring Critters - get these cuties before April 31st! 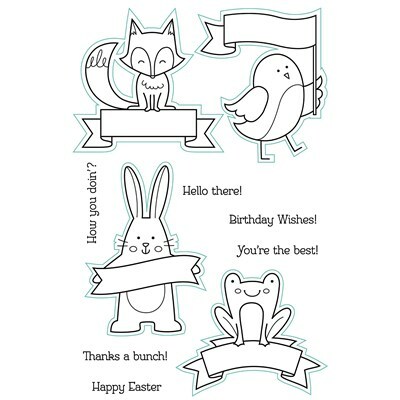 How you doin' card with Spring Critters - get these cuties before April 31st! Did you know that when this Seasonal Expressions retires on April 31st all the stamps and papers in it will retire too? CTMH is focusing on always bringing fresh and new with each catalog cycle (our main one which lasts a full year plus the three seasonal supplements) which means that from now on, when an Idea Book retires all the stamps and papers will now retire too making way for brand new on-trend items! That brings me to this cutie pattootie stamp set that I hadn't had the chance to play with yet. Isn't this Spring Critter set the cutest? I'm totally kicking myself for not getting this set inky earlier so I could show you just how adorable Spring Critters is but there are still a few weeks left for you to order this one! I matched this set up with some Penelope paper and made a sweet little rosette from our Artiste cartridge to showcase the bird image. Love the foil tape and the Limeade washi tape accents on the rosette! Time is really flying by this year - my college girl has about 4 more weeks of her Sophomore year before she is home for the summer and my high school senior has just 9-10 weeks left of high school forever! It hardly seems real that I'm about to have 2 college kids and just one left in the nest but I am also so proud and excited to see my older two taking wing (get the pun here? - LOL) and moving on to new adventures in their life. I'm also working part time outside the house now too as an office manager at a physical therapy place. So many changes but one of the things that is staying the same is my love for Close to my Heart products and sharing my crafty time here with you!